Looking for strong male dog names? Finding the right dog name for your new puppy can be a difficult task. This can always be difficult, for anyone. Because everyone wants their dog to have the perfect name, right? Whether you are looking for strong boy dog names only or would also like to get inspired by other categories, you have come to the right adres! 123Tinki.com has a database of over 40.000 dog names, which definitely includes a lovely name for your dog. Inside the database you can find many names ranging from Disney dog names to dog names starting with C and so much more. There will definitely be enough in there to get inspired. Are you getting a puppy? Then you might also be interested in our online puppy training from Tinki Academy! This online training is made up with help of 3 dog experts and will be available to you 24/7 from the comfort of your own home, after purchase. It is accessible from your phone, tablet or computer and contains several step-by-step guides, handy instruction videos, enough written background information and answers to frequently asked questions on several subjects. Check out our online puppy training here! Giving your dog a name is a very natural but also an incredibly useful process. 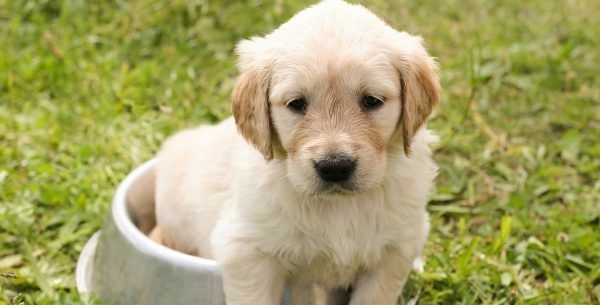 You will want to train your puppy so he listens to you but who has to sit, lie down or stay? Exactly, your puppy. Which all goes a lot easier if you can get your puppy’s attention first. A name is the perfect way to get your puppy’s attention and it can be used really well during the attention exercise. Besides that, giving a name attaches an emotion to the dog as well. Giving our dog a name helps with the bond, as much as that helps for us it also works for your dog. You will pick a beautiful name eventually, maybe something that actually means strong in a different language and you will feel really happy about it. Although the emotional value of the name means a lot to you, it does not mean the same to your dog. Your dog will not know that his name is a name or what it means. Your dog will know that when he hears you say that ‘word’, he has to pay attention to you. What your dog is able to feel is your emotion. Which means that if you are sad or really happy, your dog will know. This is something beautiful and that is also why the name does a lot for the bond between you and your dog. If you are happy to call the name, your dog will always know. This is why it is important to make sure you actually like the name and also make sure you will still like it in a few years time as well. The following dog names are a few examples of strong male dog names. Or at least, names we think are strong boy dog names. Besides our personal favorites there are also a few names in there that mean ‘strong’, literally. When it comes to dogs, domesticating them and giving them names, we go a long way back. When humankind first started domesticating dogs they probably did not give them names yet. The first dog name that has been found, recorded in history, is that of a dog in Ancient Egypt. In 1935 an expedition led by George Reisner stumbled upon an inscription on a grave in the great cemetery west of the Pyramid of Cheops at Giza. This inscription indicated the burial of a dog named Abuwtiyuw. What was so special about this grave was that it indicated that the dog was buried with honors at the time of the Etruscans in Ancient Egypt. In that time, only kings and noblemen were buried that way. The Egyptian King of that time had worshipped is dog Abuwtiyuw so much that he gave him is own grave. A very beautiful and special example of the amazing bond between human and dog. Through the years, many dogs have been given beautiful names and some dogs have also done great things. A few of those famous dogs from history might inspire you! Maybe you are about to get a beautiful Collie and could name your puppy after the famous TV dog Lassie. In the film and series, Lassie is a female Collie but all the dogs acting as Lassie were actually male! This was because the coat of a male Collie is longer and fuller, which looked better on screen. Another amazing strong male dog name would be that of the Japanese Akita Hachiko. You will probably have heard about him already, he was a very inspiring dog. Hachiko lied in Tokyo with his owner and he walked his owner to the train station every day. When his owner returned from work, Hachiko was there waiting for him. Always in the same spot, never wanting to leave his owner. The story of Hachiko is a story of extreme loyalty. When Hachiko’s owner passed away, Hachiko kept waiting in the same spot at the station every day. Never leaving, through day and night. Eventually when Hachiko himself passed away, people were so moved by his loyalty that a statue of the dog was put in his spot at the station. Strong boy dog names can be found in lots of stories from the past. For example the story of Balto. Balto was a sled dog that transported aid supplies in Alaska. This extraordinary sled dog played an important role in the 1925 serum run. This was a mission of 20 men and 150 sled dogs that transported the Diphtheria medicine from Nenana to Nome in a record time of 5 days. This eventually helped to prevent an outbreak of the disease. Balto could be a beautiful strong name for your heroic Husky! Now that we have given you a few examples of famous dog names through history you might wonder how common it actually is to give a dog a name. Thinking about it, naming your dog is very common in our modern western culture but that is not always the same in other cultures. Since the relationship between human and dog has developed a lot through the years, we have gotten used to treating them as our children more and more. In other cultures this is not always the case. From all the dogs in the world, only a small percentage lives with loving families. A lot of dogs on this world live as stray dogs and in lots of cultures dogs are also seen as food. This might be a bit of a sad thought but it gives us more courage to at least make sure every dog in our culture is taken good care of. Years ago dogs were also used as working animals, just like horses. They would for example pull the carriage of a dairy farmer. This was very normal! What is still quite common is having a dogs as a guard or hunting dog. Lots of breeds were bred for the sole purpose of hunting, which still shows in the characteristics of said breeds. This is something you ought to take mind when you get such a breed or other working breed. That they still really want to work for things. Make sure you are able to train these breeds well and have enough time to give your dog the right amount of exercise. If you are new to training or feel like with this new puppy, you could use some help, check out our Tinki Academy The Tinki Academy is our online puppy training, created with the help of dog experts and accessible from your own tablet, phone and computer 24/7. Is there such a thing as the perfect dog name? Of course there is! We believe that as long as you, the owner, thinks the name is perfect then it most definitely is. This means that whatever you choose, make sure you love it. Do not let your decision be affected by others. Of course, you can discuss it with your partner or children but who cares what the neighbor thinks about the name? Really, it is your choice. If you love the name Denis, it will be perfect. 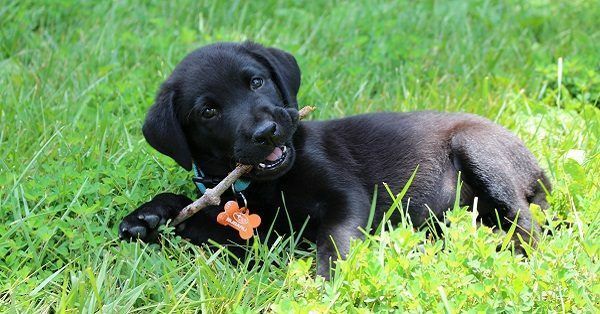 Besides following your heart there are a few things you can take in mind to get a good dog name because there are a few things that affect the quality of a dog name. A first thing to keep in mind is the length of your dog’s name. The longer a dog’s name is, the harder it will be for both dog and owner. You have to be able to pronounce the name clearly and your dog has to be able to understand you in any situation. Shorter names of fewer syllables will be easier to call out clearly. Besides that, long names are often shortened. For example Alexander sounds great but when you find yourself in an emergency situation and have to call your dog back to you in a hurry. You will easily call out Alex instead of Alexander. This is fine but choose the shorter name from the beginning. Do not start confusing your dog unnecessarily and keep it simple. A dog’s name is a command. It means he has to pay attention to you and dog’s are smart enough to know that after hearing this command, another command will follow. This is why the name should not be too long but also not too complex. Every command we teach our dogs are short and clear terms, which means that the name should be clear and short as well. A dog listens better when he is ordered to ‘sit’ in a clear voice instead of hearing ‘Honey, please put your but on the floor.’ and other things all the time. Focus on this, keeping it simple. If you are able to call the name in different situations and at different tones, it is a possibly perfect name. To check the complexity of your dog’s name you can practice out loud. This is also a good test to check the sound of the name. It has been proven that dogs listen better to names with ‘s’, ‘t’ or ending in ‘ey’. This is because these letters can often be pronounced hard. Which is good! Letters that you are able to put emphasis on and call out clearly are good ones for your dog’s name. For example the name Max works so well because it is short and has those clear letters in them. Keep this in mind and you will find that one perfect name for your new dog!